Congratulations to Michelle Rose, the winner of our Books of the Year giveaway. Please contact me with your book selection! I’m really excited about the topic of “Joy Thieves” because I don’t think it’s talked about enough. I feel like we (women especially) silently battle with this issue of belonging and we allow it to dictate our joy. Some of us care about what everyone thinks and some of us care about what certain people think. We should all be caring about what God thinks. Then what our spouse thinks, and sometimes even what our children think. In the grand scheme of things, who else really matters? I’ve enlisted some beautiful, strong, and faithful women to share their stories with you next week. They’ll be sharing about what joy means to the them and how they keep from letting others steal it. I honestly have no idea what each lady is writing about, yet. Only that they’ve had their fair share of people attempt to steal their joy. They may have even had some succeed, but they’ve learned from their experiences and want to share that knowledge with you. 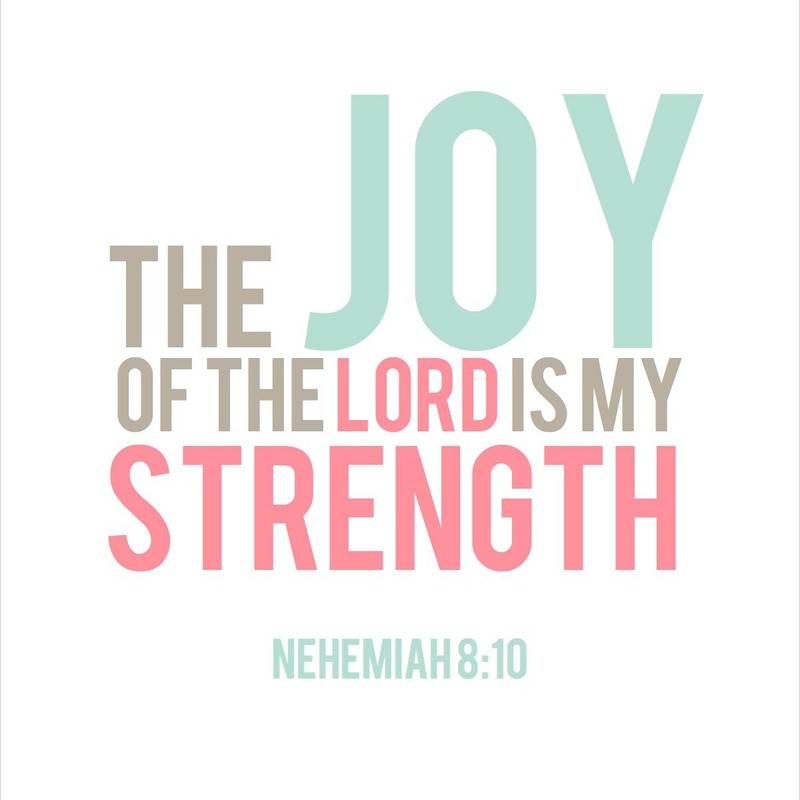 They’ve learned that the joy of the Lord is their strength. Haters. You know what I’m talking about. The people who are always trying to bring you down. The negative nancys. The ones who NEVER have anything nice to say. The high and mightys. The ones who should really take a look in the mirror once in a while. We all have them. That’s right. EVERYONE. Everyone has someone in their world whose mother didn’t teach them the tried and true rule that if you don’t have anything nice to say, then don’t say anything at all. Take that as reassurance today. You are not alone. It it part of the human condition to want to be liked and accepted. Everyone wants to belong. The reality is that we will never belong everywhere. You will not find yourself liked or accepted by everyone you come into contact with. If you want everyone to like you, you’re fighting a losing battle. Guess what? It’s ok. You are not alone. We’ve all felt the despair of being disliked or unwanted. Let me tell you, this doesn’t just happen in middle school! I think we too often write off “acceptance” as an adolescent term; something only juveniles face. Ladies (and men), this is a real issue that people face every day. It’s a real issue that YOU face everyday. Somewhere that you go today, someone will think a negative thought about you, someone might say something not so kind about you to their neighbor, and someone may even write about you, on social media, for the whole world to see. It could happen to you at work, at the grocery store, or when you’re out to dinner. It could even happen in your church, your weekly Bible study, among your friends, or even in your family. I’m here to tell you that it’s ok. You are not alone. I tell you this not to be discouraging, but to be honest. Someone out there will always find something negative to say about you, but you can’t let it steal your JOY. Did you know the Lord has lovely things to say about you today? When He sees you, He sees beauty. He created you, after all. I will be the first to admit how difficult this can be. I’ve spent hours, days, weeks even stewing over why someone doesn’t like me. Wondering what I have done to offend them or plotting what I could do to win their affections. NEWSFLASH! This is a a complete and total waste of our time! Time that could be better spent pursuing more valuable, kingdom worthy things. The truth is, we are all different. Not all people are going to “mesh” or get along. You can’t please everyone. You can’t change everyone. Not everyone is destined to be your friend. Some people are just the way they are. They are that way as a result of their upbringing, their lifestyle, their choices, or their genetics. The way they are might not even be bad, but just different than you! Some people are truly malicious. They’re stressed, tired, broken, bitter, miserable, cynical or jealous. They thrive on being negative. Some people fall somewhere in between. Either way, It is not your job to make them happy, make them like you, or have them see things the way you do. It is your job to love them. Ouch. That’s a hard one, isn’t it? It’s easier to love the person that is simply different than you. I can accept that I just don’t mesh with everyone and that we might never be best friends. It’s harder to love the person who has spoken out against you. It’s difficult to love the person who spread those nasty rumors, voiced their unwanted and negative opinion, or was just down right hateful to you and/or those you love. That love is hard. And even harder, is that forgiveness. It’s ok. You are not alone. Difficulty doesn’t excuse us from action. (I’m hitting you hard today, aren’t I? It’s ok. You are not alone. I’m hitting myself hard with this one too.) We are commanded to forgive as the Lord has forgiven us. Am I the only one finding that to be impossible? Forgiveness is no easy task. It has taken years of prayer and patience to get over some of the hurts that I have faced. No one said this was an easy road, but it is a necessary one. Forgiveness takes away a weight that sometimes you never knew was there. It’s healing. It cultivates a closeness with God that you couldn’t have without it. The more you practice forgiveness, the easier it becomes. I don’t think it will ever be easy, but easier is never a bad thing. If you’re struggling in forgiveness today, know that you are not alone. We’re all on this crazy ride together. Take a look at the person next to you. You may not know what they’re dealing with today. What I can tell you is that if they’re not facing a hurt or struggling through forgiveness today, I can guarantee that they have in the past and that they will again in the future. We’ve all been there. While it’s easy to be the victim, the fact of the matter is that we can all be the hater, the negative nancy, and the high and mighty too. We can think those mean thoughts or say those mean things. We can perpetuate hate, but we don’t have to. Take the time to smile at someone you don’t know today. Compliment that girl’s scarf. Say a silent prayer for that mom who is wrangling her 3 kids while trying to get some groceries. Greet the new person at work. Do your part to make someone feel accepted, instead of excluded, today. Make someone feel loved or at ease. Speak positive words. Be light. All of this is a choice we make. First, make sure you are part of the solution and not the problem. Don’t let those on the problem side steal your JOY. Find strength in the Lord. Accept those who are different from you. Pray for those who exclude you. Love those who speak against you. You are not alone. We’re all in this together. I always look forward to your new blog! You are correct, true forgiveness is one of the most difficult things we ever do. Thank you for inspiring us to really think about what we do or say, words can & and do hurt. I have had alot of hurtful words said to me over the yrs. Forgiving the person that has hurt you makes you the better person because it frees your soul. Its not easy but God has helped me through it all. Just remember you are not alone. Reach out to your savior, your family our a friend. BE WHO YOU ARE! With a face full of tears, once again you have touched my heart, my hurts and so much more. Your are a wonderful woman of God. I love this blog. You are touching so many people. So awesome. Much love to you from my heart.